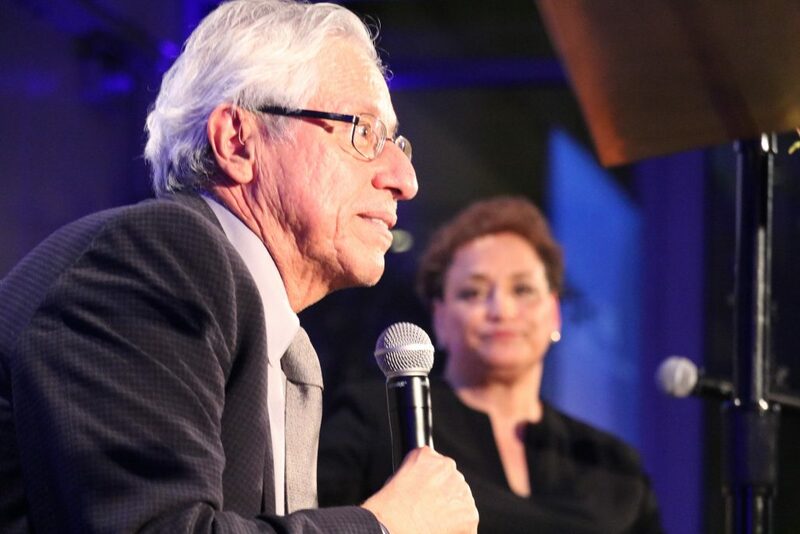 The newest research center at UCLA Luskin aims to bring together scholars and policymakers to share information so that political leaders can make informed decisions on issues of interest to Latinos, and its Dec. 6, 2017, kickoff event exemplified that goal. 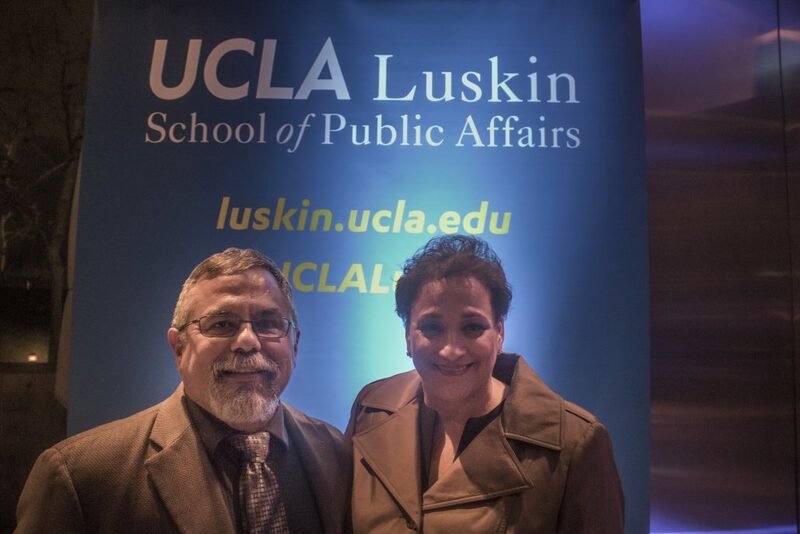 Students, faculty and administrative leaders from the UCLA Luskin School of Public Affairs and throughout UCLA were among a crowd of about 175 people that also included elected officials, community activists, business leaders and other stakeholders who gathered in downtown Los Angeles to celebrate the launch of the Latino Policy and Politics Initiative (LPPI). 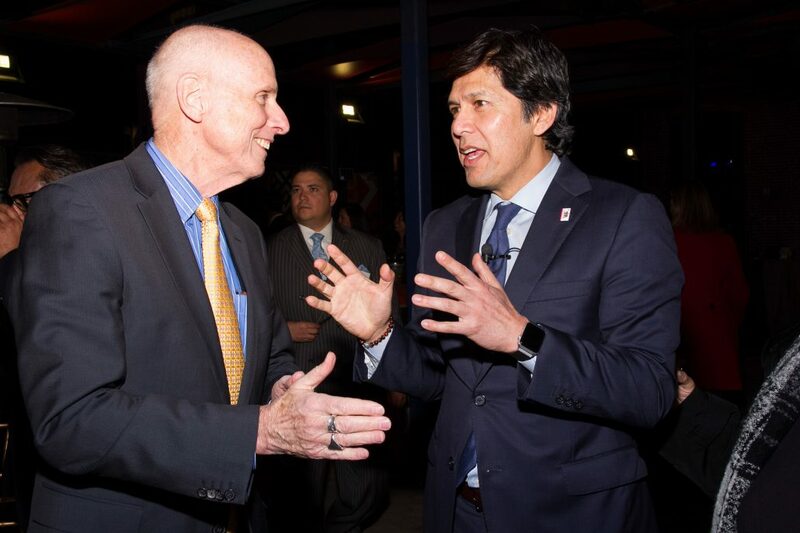 Attendees had an opportunity to hear keynote speaker Kevin de León, current president pro tem of the California Senate and a candidate for the U.S. Senate, talk about recent legislation on issues related to such diverse topics as labor, good government, the environment and education. 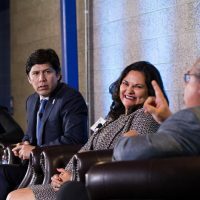 He was then joined by a panel of experts in a spirited discussion of the current national political climate and major issues that directly impact Californians, particularly Latinos and other communities of color. 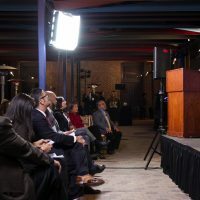 One of the goals of LPPI, which received its startup funding from UCLA Luskin and the Division of Social Sciences, is to provide better access to information — real data, not alternative truths — to help leaders nationwide resist attacks on immigrants and also help them to craft new policies on other issues vital to Latinos. “It is impossible to understand America today without understanding the Latino community and the power that it wields. 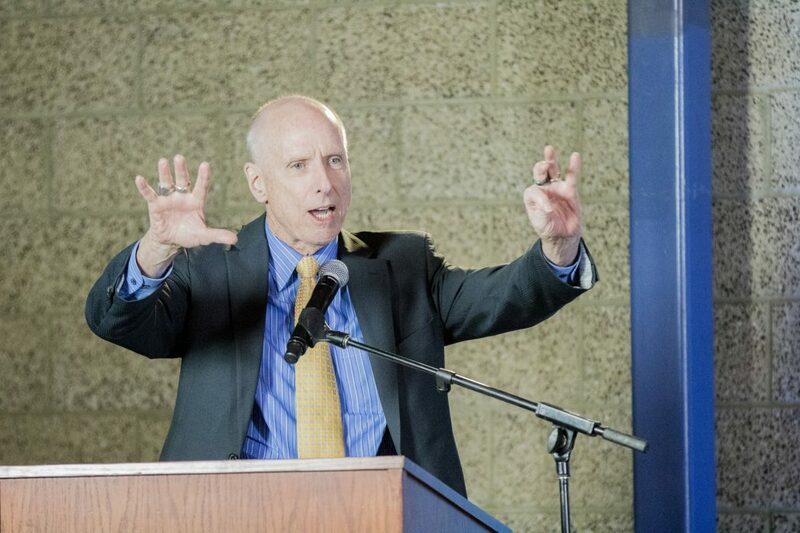 And this institute is going to do that,” Scott Waugh, UCLA executive vice chancellor and provost, told the crowd. 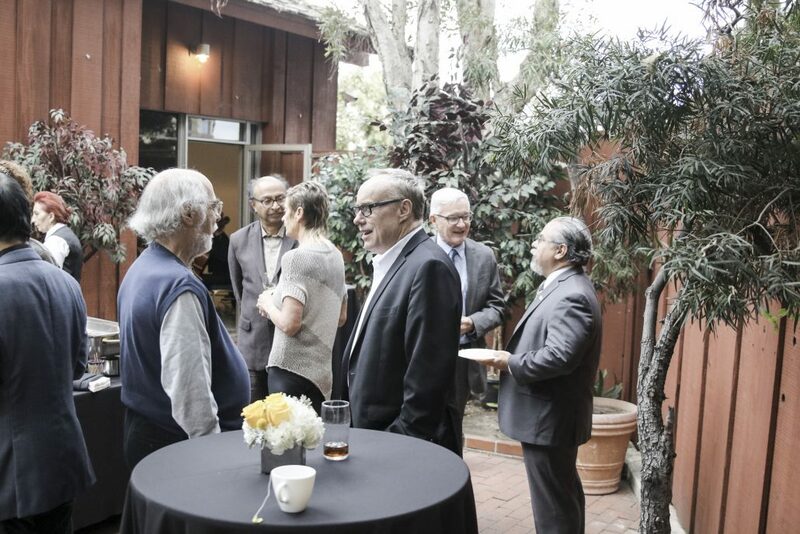 Many of the 20 scholars from across the UCLA campus who are part of LPPI’s faculty advisory council attended the launch event, which began with a networking reception at La Plaza de Cultura Y Artes near Olvera Street, the founding site of Los Angeles itself. 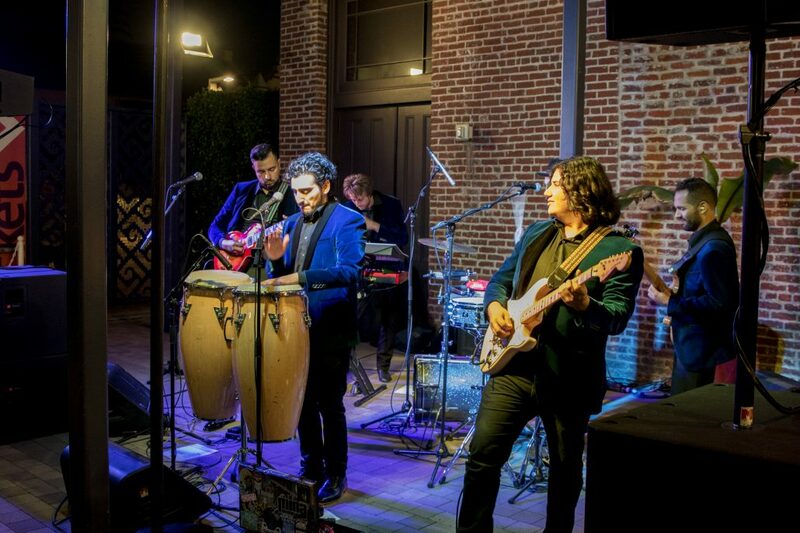 As musicians from La Chamba Cumbia Chicha performed, attendees had an opportunity to meet and exchange ideas with the featured speakers and various former and current elected officials in attendance, such as Gil Cedillo, the former state senator and current Los Angeles city councilman. 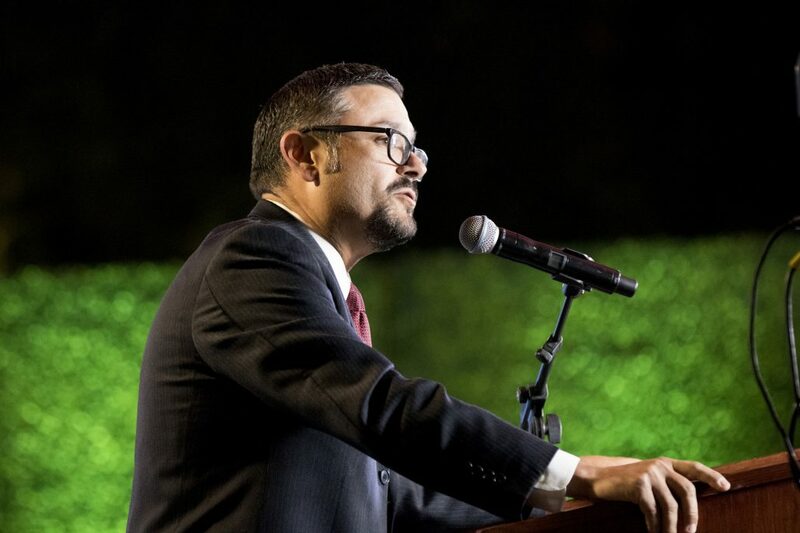 Also in attendance were former California assemblyman and senator Richard Polanco and Amanda Rentería, the former national political director for Hillary Clinton’s campaign and now a staff member in the executive office of California Attorney General Xavier Becerra. 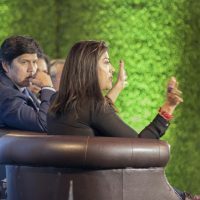 The event wrapped up with a panel discussion and Q&A moderated by Lucy Flores, a former assemblywoman in Nevada who now serves as vice president for public affairs for mitú, a multimedia enterprise that targets young Latinos. 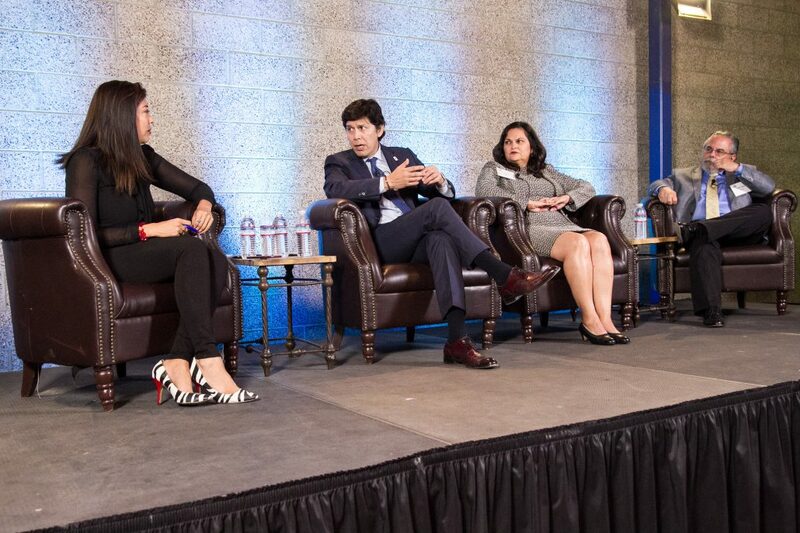 Panelists said that bolstering the number of Latino elected officials has been a vital step in bringing about positive change. 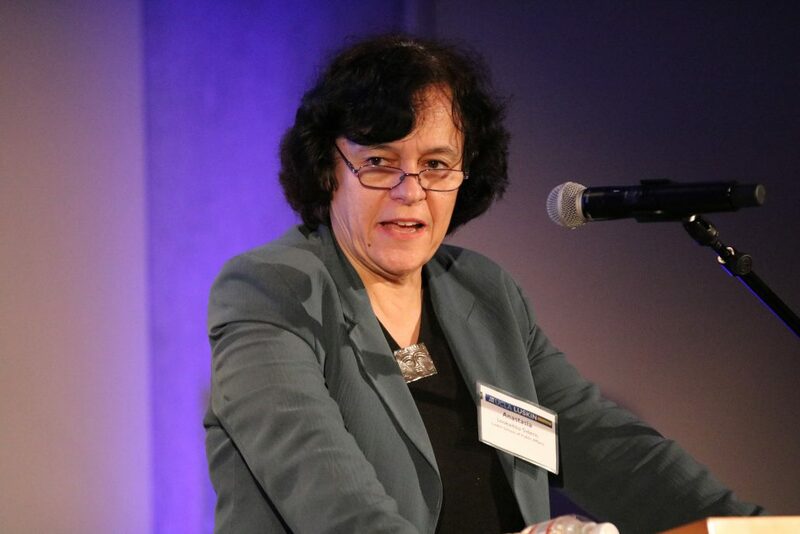 Panelist Laura E. Gómez, professor of law at UCLA and former interim dean of the Division of Social Sciences, expanded on that idea in light of a recent wave of disclosures related to sexual misconduct by men in positions of power. 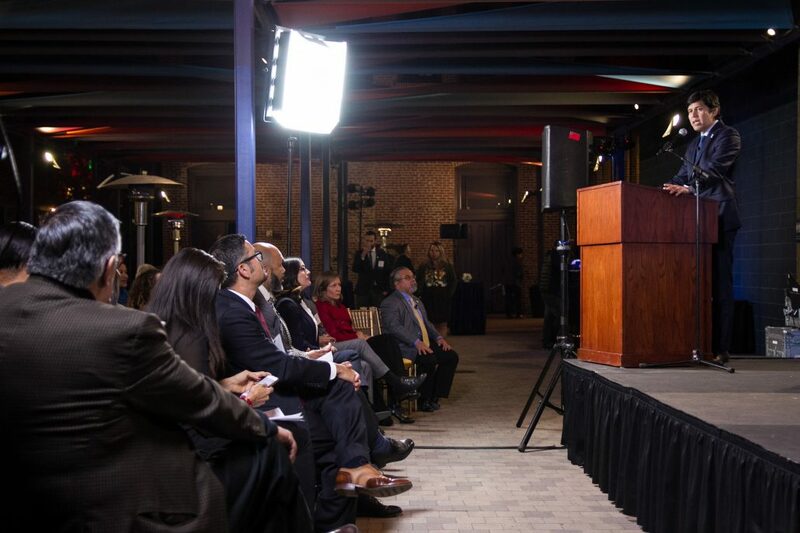 “I think it’s really important … for us to realize that Latinos are a diverse community. We are not just men; we are also women. We are not just straight people; we are also gay and transgender people. And those are important numbers going forward,” she said. 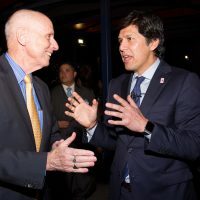 The fact that California often seems to be an outlier in the current national political climate was a recurring topic of the night, with several speakers praising Californians’ resistance to the policies of the current U.S. president. Can the state also serve as a model of progress? 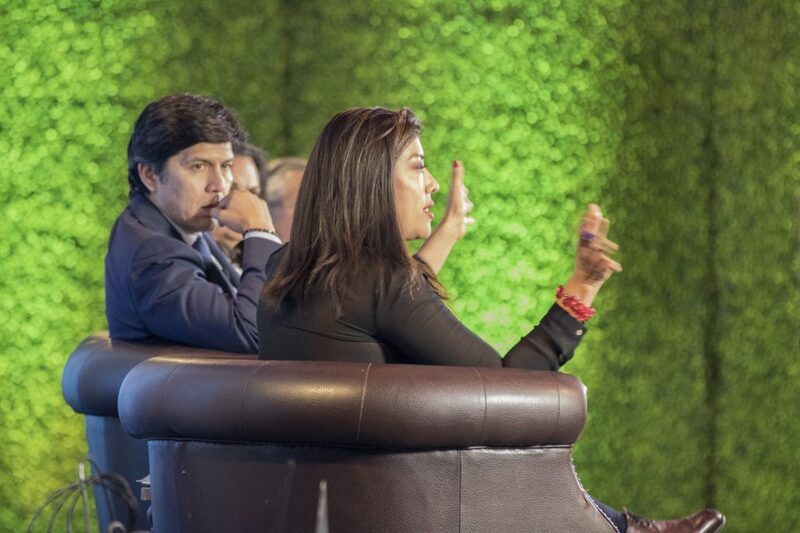 “I want to ask for your partnership, because this is what we need to do — we need to train a new leadership pipeline that is diverse but also represents us substantively,” LPPI Founding Director Sonja Diaz told the audience. Later, when speaking about climate change during the panel discussion, he expanded on the idea that knowledge equals power. 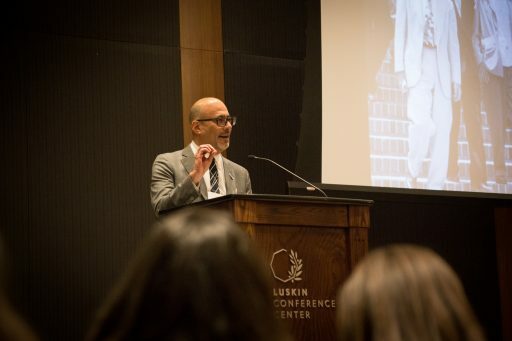 Segura said it is his goal — and the mission of LPPI — to unite scholars and policymakers for mutual benefit, helping academics turn research into actionable policy. 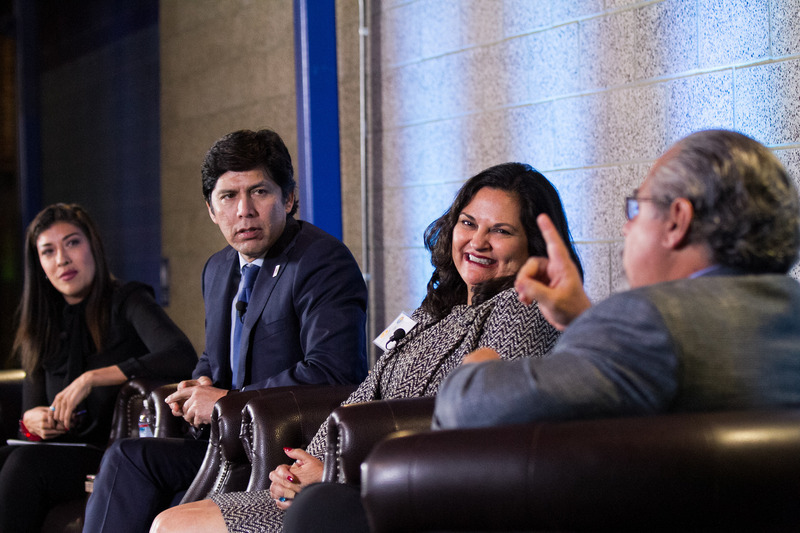 The Latino Policy & Politics Initiative is a comprehensive think tank around political, social and economic issues faced by California’s plurality population of Latinos and other people of color. Anyone interested in providing financial support may do so through the UCLA giving page for LPPI. 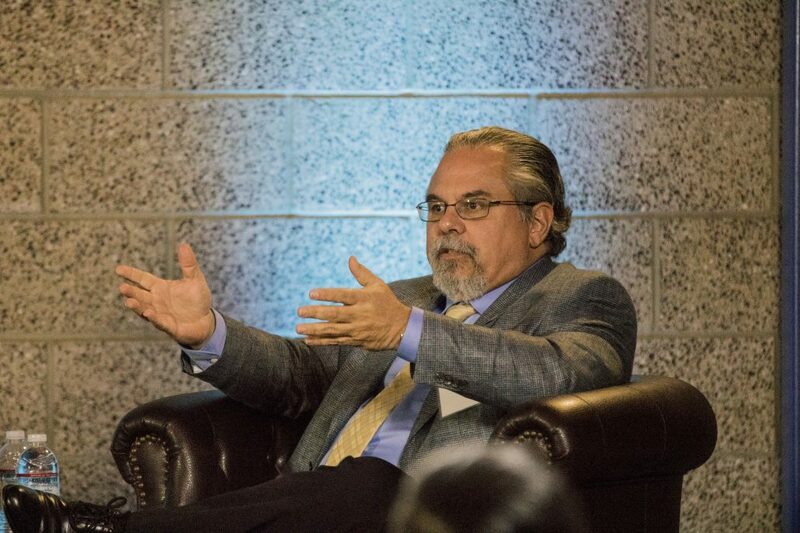 Additional photos from the event may be viewed in an album on the UCLA Luskin feed on Flickr. Watch the video of our speakers and panelists. 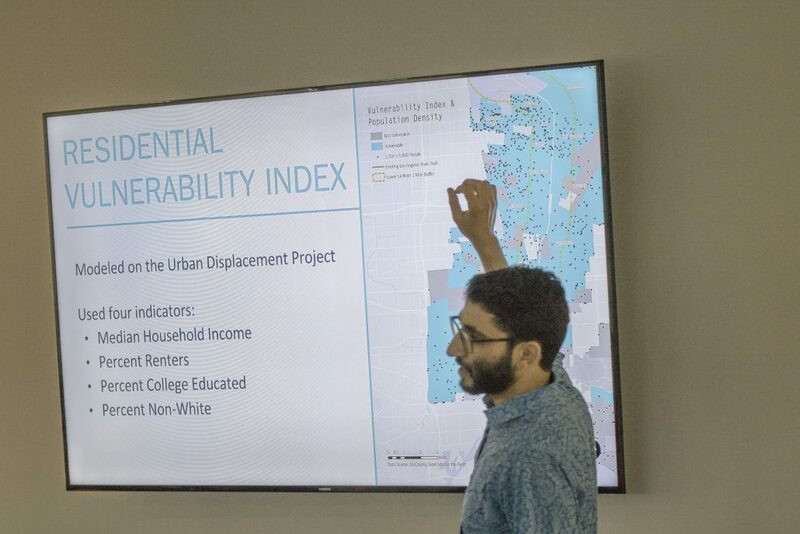 As the curtain lifts on another academic year at the UCLA Luskin School of Public Affairs, second-year Master of Urban and Regional Planning (MURP) students enrolled in one of two group efforts begin to tackle a major planning issue from multiple angles. Listening, learning, analyzing, synthesizing and debating, the students enrolled in the Community Scholars and Comprehensive Project options will unite by graduation time to produce a shared vision of how best to address a challenge of significant scope and scale. 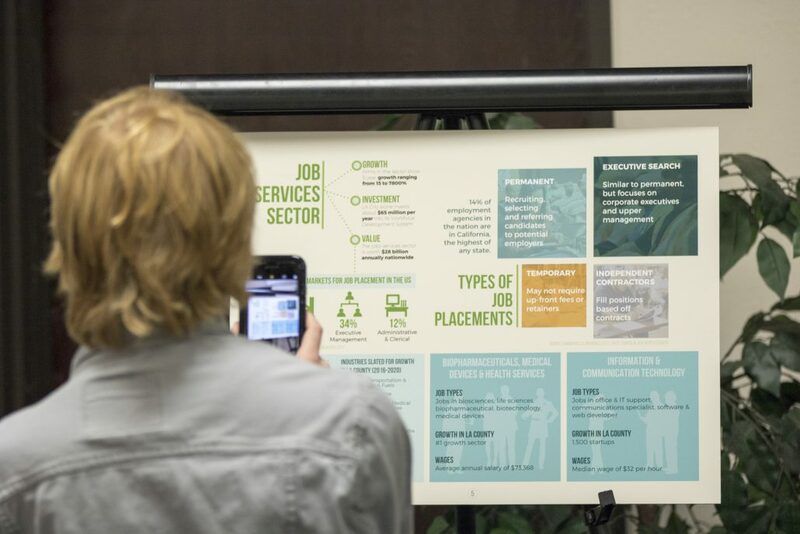 Both of these group efforts are popular among students despite the workload, said Alexis Oberlander, graduate adviser in Urban Planning. In fact, an application and acceptance process is necessary to limit enrollment to a manageable number of about 15 for each. The group efforts are similar in scope, complexity and instructional approach, but Community Scholars and the Comprehensive Project have key differences. From concept to completion, a typical Comprehensive Project can stretch over a year or more. 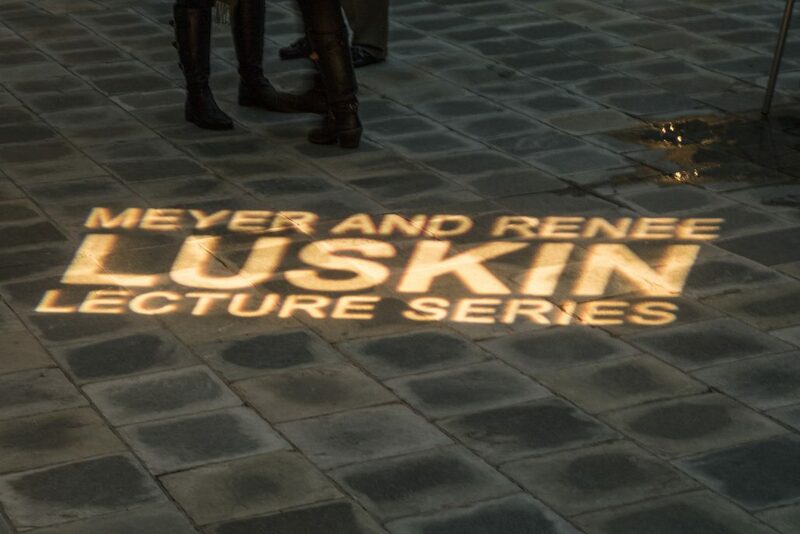 Oberlander pointed out that students entering the Luskin School in the fall will decide just six months later whether to register for the next Comprehensive Project, which won’t wrap up until more than a year later. Thus, now is the time for potential client partners to step forward. 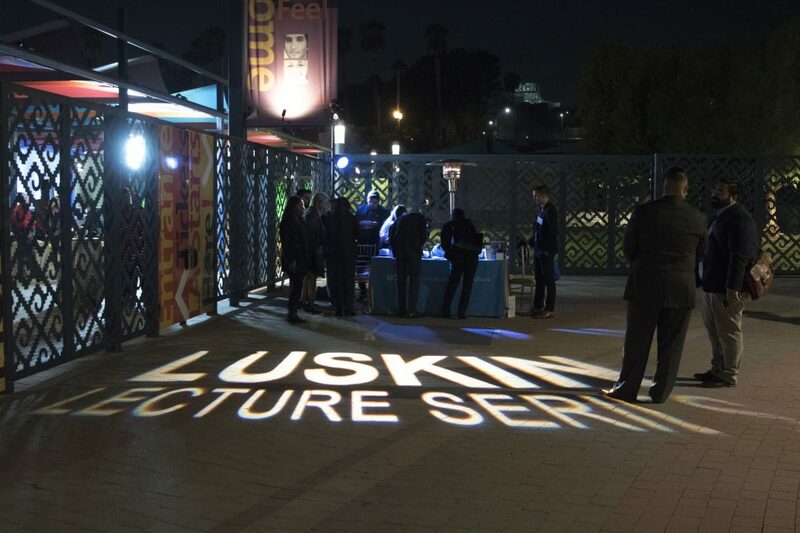 “You can come to Luskin and you can get really great research for a third of the cost to hire somebody,” she noted. The end of an academic year is often a hectic time for Comprehensive Project students. 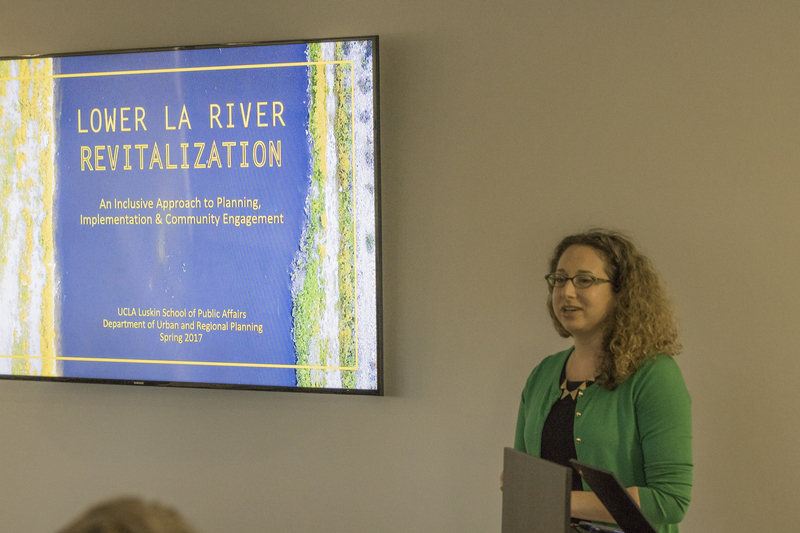 For example, the final presentation to the Community Economics, Health, and Equity Committee of the Lower LA River Working Group was on June 8, 2017. A final (more comprehensive) on-campus presentation took place June 13, 2017, just two days before Commencement. Public presentations are also typical of Community Scholars. On June 17, 2017, the students gathered at Holman United Methodist Church in South Los Angeles for a rousing public review and reflection on what they had accomplished together. 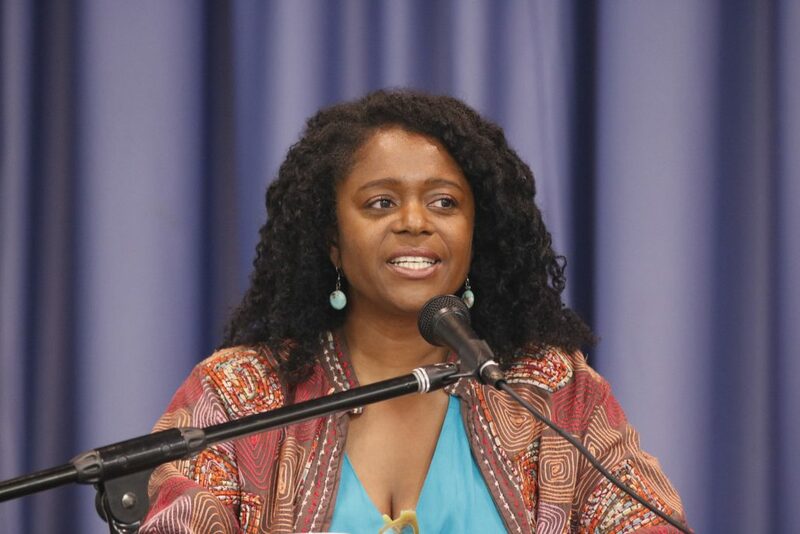 “It is phenomenal to have the privilege to spend 20 weeks in a room with other organizers and thought leaders who are every day experimenting and making change on the front lines for black workers and black working class families,” said the UCLA Labor Center’s Lola Smallwood Cuevas, the 2016-17 project director. a mobility study of the Slauson Corridor that paid particular attention to the intersection of Slauson and Western avenues, which a collision analysis found to be among L.A.’s most dangerous traffic locations. 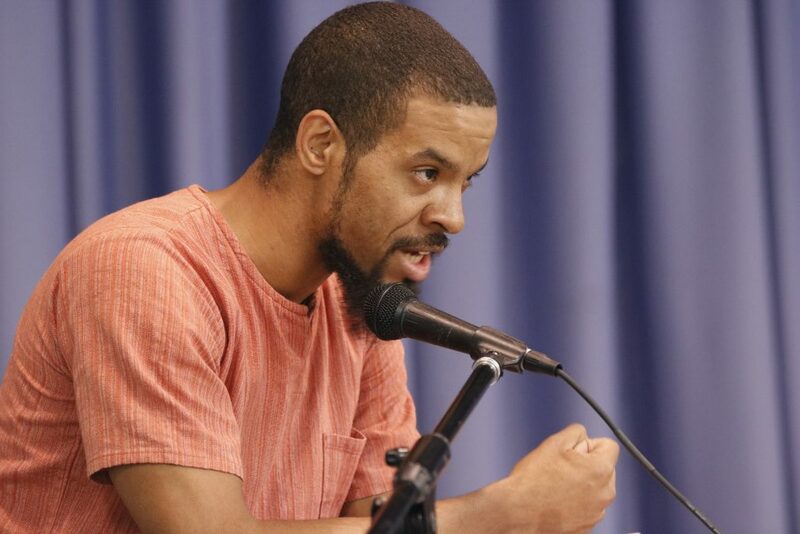 Marque Vestal, a PhD student in history who served as a teaching assistant for Community Scholars, noted that the effort was about more than simply doing great research. While studying under Smallwood Cuevas, UCLA Luskin’s Gilda Haas and Gaye Theresa Johnson of UCLA African American Studies, the students examined issues of race, equality and empowerment through the black radical tradition. 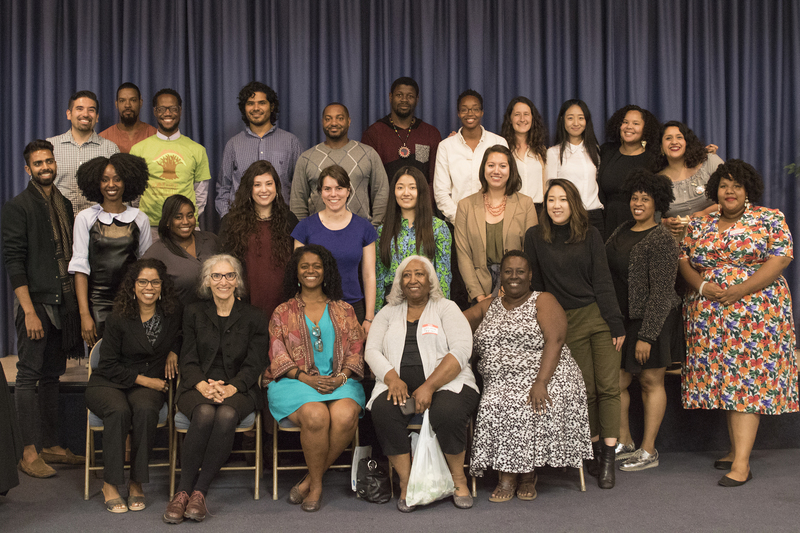 The Community Scholars team for 2016-17 included representatives from UCLA Luskin Urban Planning and the UCLA Labor Center, as well as students and faculty from other UCLA departments. Activists and partners from the community also attended. The instructor of the L.A. River project was Diana Varat JD/MA UP ’08, a planner and attorney who was part of the Luskin School’s adjunct faculty for the year. A rotating instructor approach is used for Community Scholars too. In 2015-16, UCLA Luskin’s Goetz Wolff led an analysis of the distribution of goods in Southern California that went on to win a national applied research award. 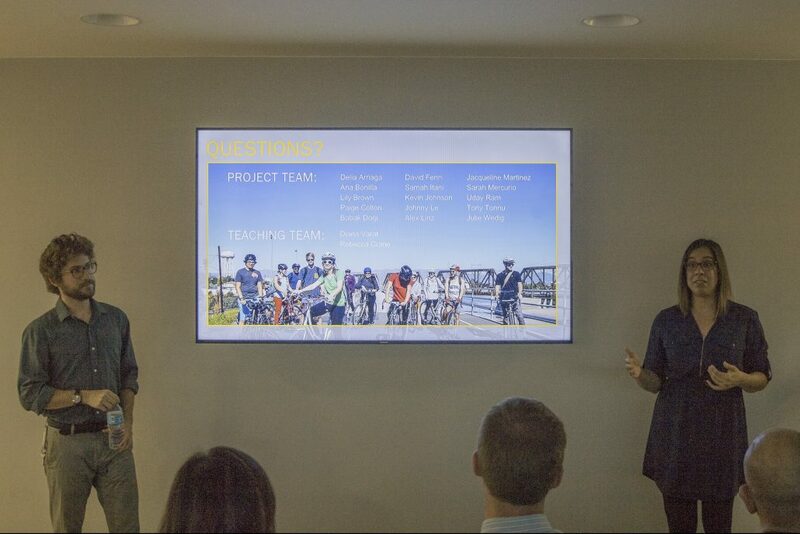 For the L.A. River project, students looked at gentrification, access and community impacts as part of their detailed analysis of the potential pitfalls of redeveloping the Lower Los Angeles River that runs through 14 cities from Vernon to Long Beach. 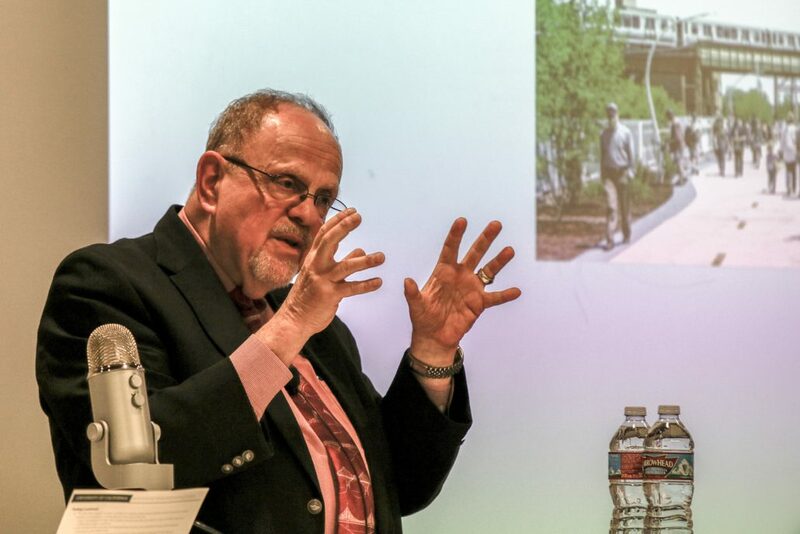 For 2017-18, the Comprehensive Project team will work with Distinguished Professor Emeritus Martin Wachs on the issue of transit-oriented development. Community Scholars will tackle homelessness and housing. Course instructor Diana Varat JD/MA UP ’08 welcomed attendees and provided background about the Lower L.A. River revitalization and the research conducted by her class. 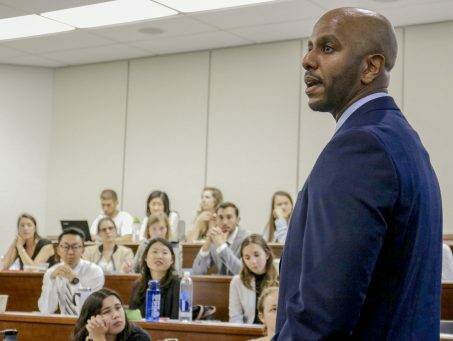 By necessity, the Master of Public Policy (MPP) students at the UCLA Luskin School of Public Affairs quickly begin learning skills and tools to complete the program and prepare for problem-solving careers in the public, private and nonprofit sectors. The students, working in groups, must clear one final hurdle to graduate: the Applied Policy Project presentation. Each group has 20 minutes to impress faculty and peers by showcasing what they have learned during two rigorous years of study. 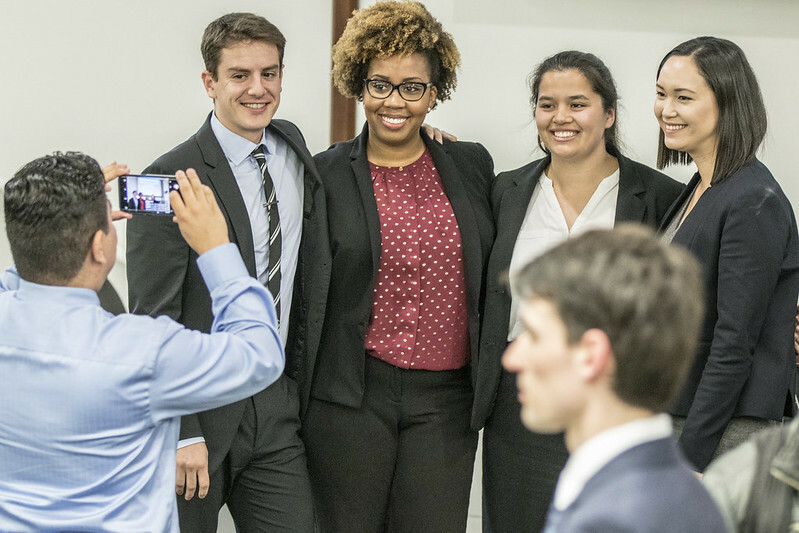 Each year, a diverse group of clients “hire” the students, usually in teams of two or more, to tackle real-world problems and offer actionable recommendations and feasible solutions. 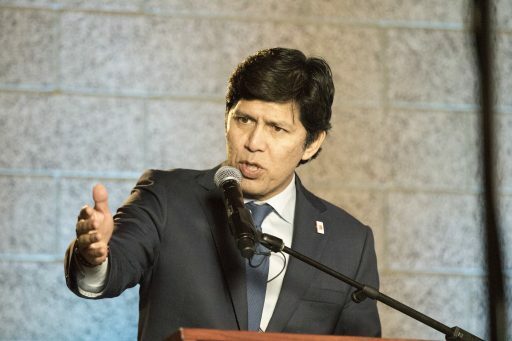 Among this year’s clients were the Southern California Association of Governments, Covered California, Peterson Institute for International Economics and a member of the California State Assembly. 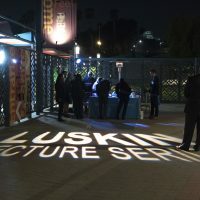 Internal clients included a research center within the Luskin School, a professional program elsewhere on campus and the University of California’s Office of the President. Shah said she was fortunate to advise a diverse set of APP groups this year. One group of students found that behavioral tools such as reciprocity and commitment devices should be implemented in schools to increase consumption of fruits and vegetables in an attempt to combat obesity. 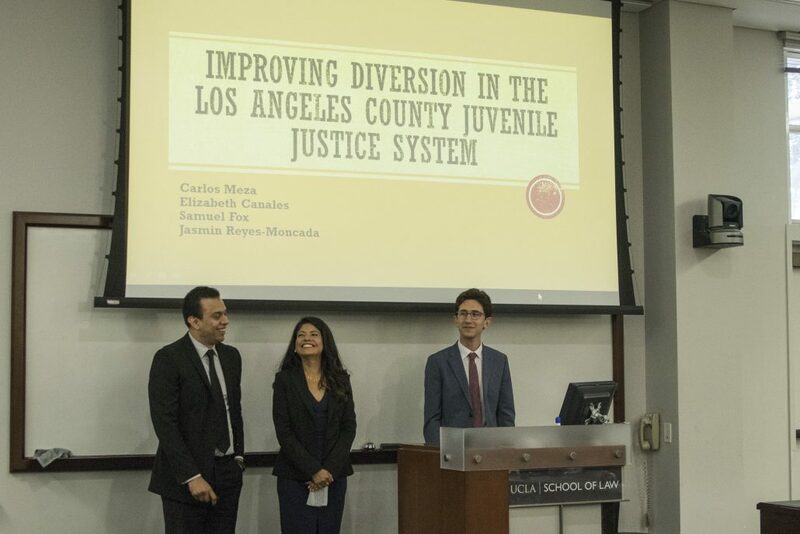 Another group helped improve the service delivery model of an organization in L.A. that tries to get at-risk youth into better employment opportunities. And another group proposed interventions and policies aimed at reducing displacement and gentrification in South L.A. In all, 18 presentations were made. 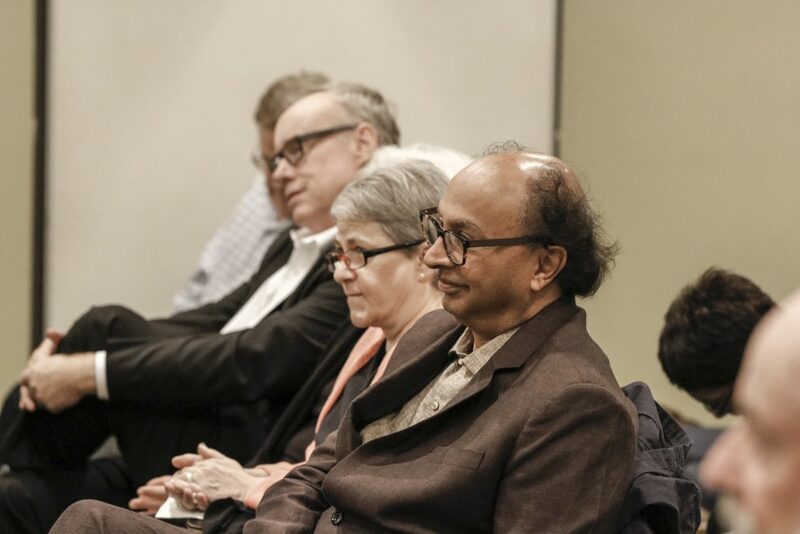 Luskin faculty watched and then asked questions that tested the students’ depth and breadth of knowledge and the thoroughness of their projects. 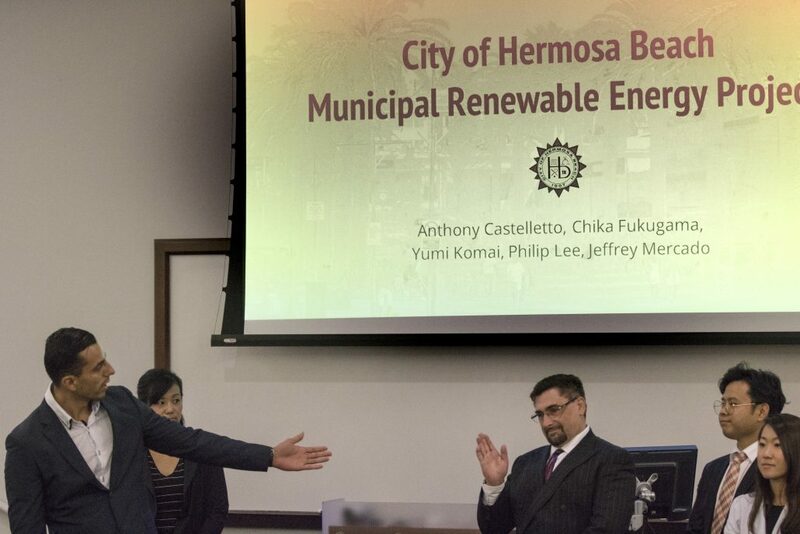 Local and regional issues such as investments in electric vehicle charging stations in Los Angeles and a rent stabilization ordinance to prevent displacement of low-income minority communities in South Los Angeles. Statewide issues such as bail reform, insuring Californians, health care, access to water and juvenile justice. National and global issues like mitigating the negative impacts of trade on employment in the U.S. auto industry and improving local-level governance amid decentralization reforms in the Ukraine. A closer look at some of this year’s APPs follows. 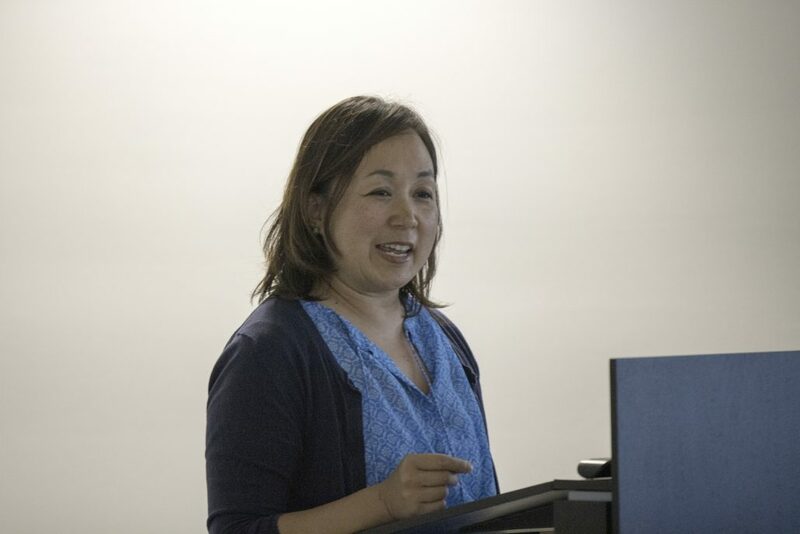 Applying qualitative and quantitative methods to their study for the UC’s Office of the President, Traci Kawaguchi, Yuhan Sun and Eri Suzuki focused on the need for connections in their analysis of system-wide retention by gender in engineering at the undergraduate level. They initially determined that the retention rate of female engineering students was significantly lower than for male engineering classmates across the UC system. Their faculty adviser, Professor of Public Policy John Villasenor, also holds an appointment in electrical engineering at UCLA. 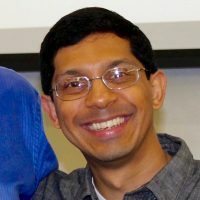 He helped connect them with UCLA engineering students, which led to interviews with aspiring female engineers. Women and men had similar levels of academic performance in the first year, but the qualitative interview uncovered that “affinity groups play a key role in affirming engineering identity and belonging in the field,” according to the UCLA Luskin students’ written summary. Team members analyzed policy options based on anticipated effectiveness, cost feasibility and institutional feasibility, and they recommended support for female students based on a sense of community and belonging. Adoption of residential living communities and formal peer mentoring programs for female undergraduate students in engineering were also recommended. Another APP team focused on plug-in vehicles with a limited range on all-electric power that switch to gasoline-based power after batteries are exhausted. Specifically, the group studied how workplace charging stations in Los Angeles could increase the number of miles that vehicles travel without burning gasoline. 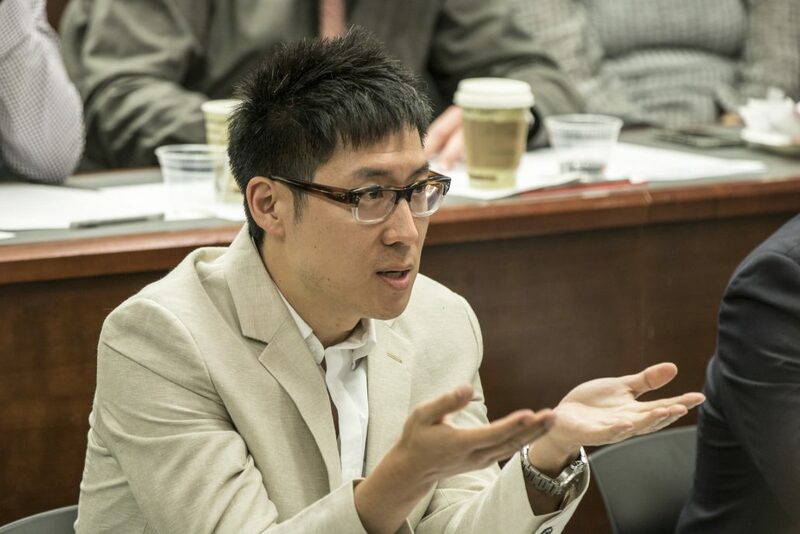 MPP students James Di Filippo, Mahito Moriyama, Toru Terai, Kelly Trumbull and Jiahui Zhang completed their project, “Prioritizing Electric Vehicle Charging Station Investments in Los Angeles County,” for the Southern California Association of Governments (SCAG). Their model combined commuting data from SCAG’s transportation demand study with plug-in electric vehicle registration data, information on vehicle all-electric range, and point data on existing charging infrastructure locations. 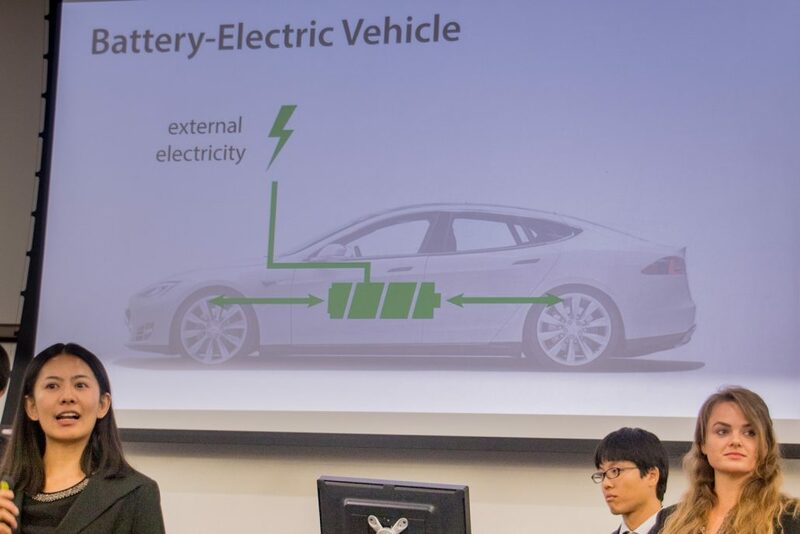 The students found that nearly 6,000 plug-in hybrid commuters could benefit from workplace charging but currently do not have access. Full support of those commuters’ vehicles would yield about 76,000 additional miles driven on electric power each day. The potential increase is concentrated in just a few zones. 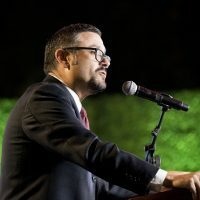 Di Filippo said that the group used a tool from the Environmental Protection Agency to identify zones that fall within disadvantaged communities that might require additional support, which were more than a third of all zones identified as having potential for investment across Los Angeles County. 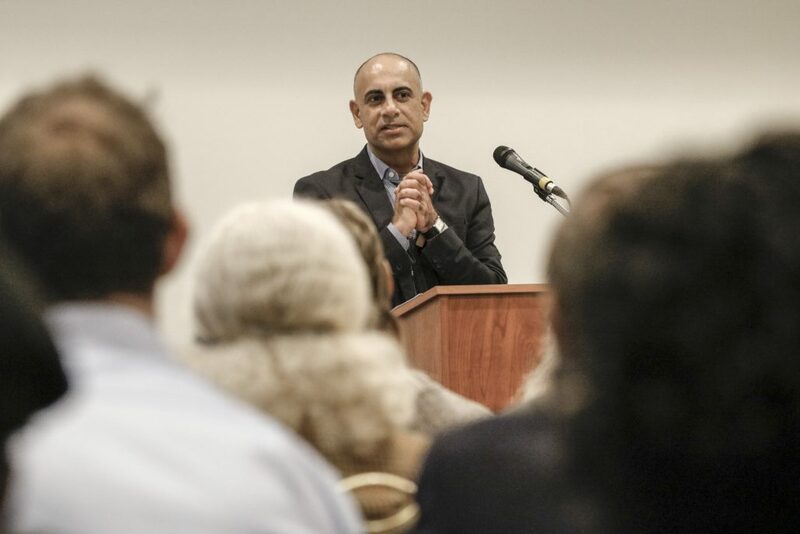 SCAG should direct additional funding toward those disadvantaged communities to ensure that the benefits are distributed equitably, the students said. Sarah White and teammates Sydney Ganon, Hiroto Iwaoka and Jonathan McIlroy examined behavioral economics for tools in nutrition education curricula. Their goal was to promote long-term healthy food choices and habits in third and fourth grade students in light of a growing recognition of negative health outcomes of childhood obesity. 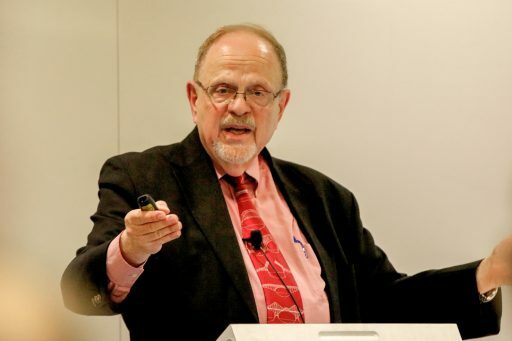 “While the field of behavioral economics is still fairly new, we read a lot of the existing literature and had reason to believe that really low-cost interventions could potentially have large impacts on getting people to make better choices for themselves,” White said. One challenge that behavioral economics has “rarely, if at all, studied within the realm of children’s nutrition.” That made evaluating different policy options more difficult. “We had to evaluate each policy option on our own,” White said. The group’s recommendations bundled three potential behavioral tools that are cost-effective. Giving attractive names such as “power peas” to fruits and vegetables in the cafeteria would frame foods in a way that is appealing to children. Giving students something as simple as a sticker and thanking them for choosing the healthy option would promote reciprocity. Having students set goals for eating better would make them more likely to stay committed. For one student, Ayappa Biddanda, the final APP presentation was a long time in the making. 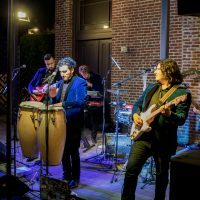 In the early 2000s he left UCLA Luskin to pursue an opportunity that turned into a career in the music industry. 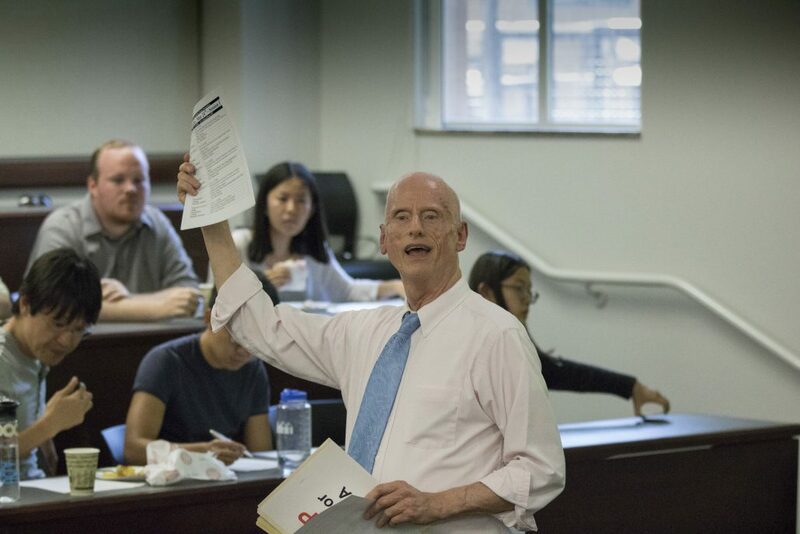 He came back this year to do his final presentation — and thus finish his master’s degree. The 2017 APPs ended on a bittersweet note, with Peterson acknowledging the retirement of a key player. 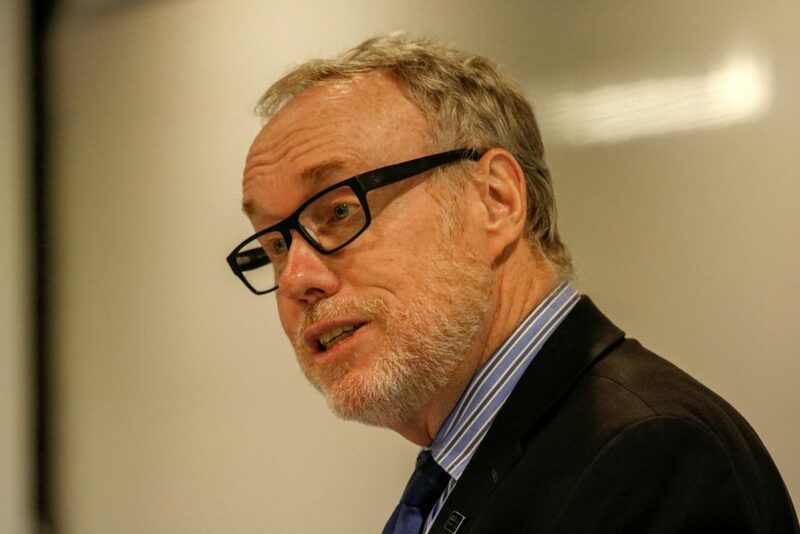 Maciek Kolodziejczak is a longtime UCLA staff member who joined the public policy program when it was founded more than 20 years ago and has long coordinated the APP presentations. “Sadly, this is the last time that this part of the APP program will be orchestrated, moderated and run by Maciek,” Peterson said. A project by a team from the UCLA Luskin School of Public Affairs about age-friendly outdoor environments has picked up another honor — this time an Achievement Award presented by the American Planning Association (APA). The winner is among 12 Achievement Award recipients chosen by a jury of planners as examples of good planning work. The recipients are recognized collectively at an awards luncheon held during APA’s National Planning Conference, which is set for May 6-9, 2017, in New York City. The UCLA Luskin project was designated as a silver winner in the category: National Planning Achievement Award for a Best Practice. It had qualified for consideration at the national level by previously being honored in 2016 by the APA Los Angeles Section, which recognizes the “best of planning” from cities, agencies and nonprofits to consulting firms and individuals. 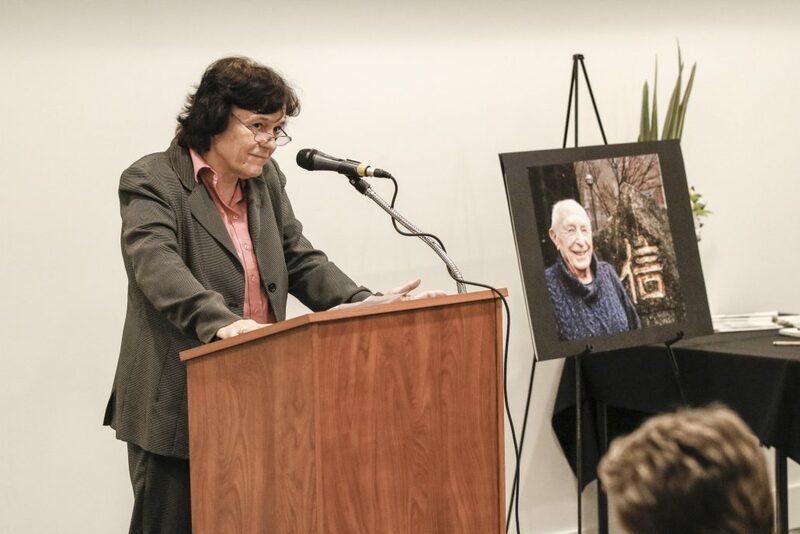 “Placemaking for an Aging Population,” funded by the Rosalinde and Arthur Gilbert Foundation and the Archstone Foundation, was led by principal investigator and Urban Planning professor Anastasia Loukaitou-Sideris. It provides information about the park needs and preferences of older, low-income adults living in inner-city neighborhoods. Loukaitou-Sideris, who is also associate provost for academic planning at UCLA, worked on the study with Social Welfare professor Lené Levy-Storms and Madeline Brozen, associate director for external relations for the UCLA Lewis Center and the Institute of Transportation Studies, and program manager of the Complete Streets Initiative. 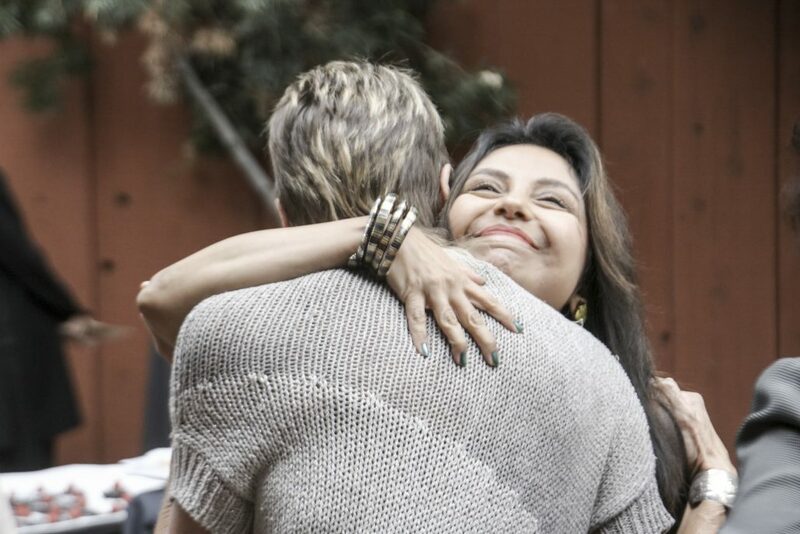 Brozen is also an alumna of the Luskin Urban Planning program. 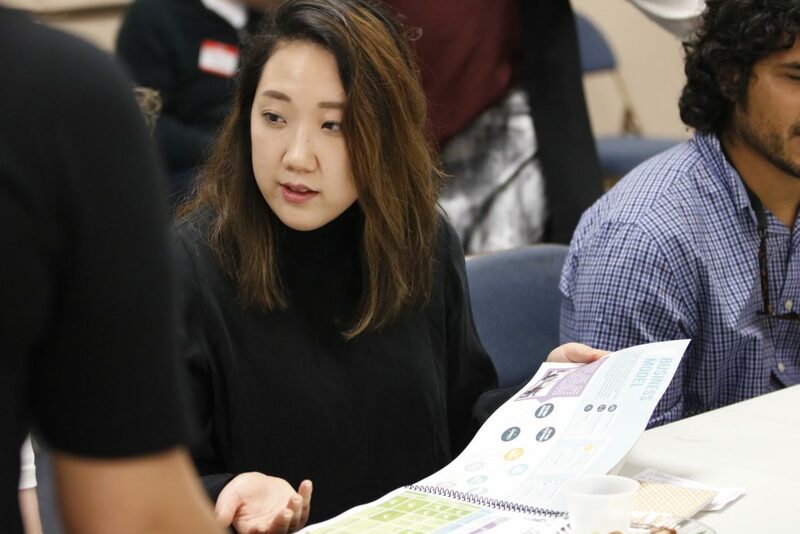 Luskin graduate student researchers — and now alumni — for the project were Lynn Chen SW Ph.D. ’13 and Master of Urban and Regional Planning (MURP) graduates Liz Devietti, Hannah Gustafson and Lucia Phan. Lia Marshall, a doctoral student in Social Welfare, also was on the research team. More information about the UCLA Luskin project and a list of all 2017 APA award winners may be found on the APA website. 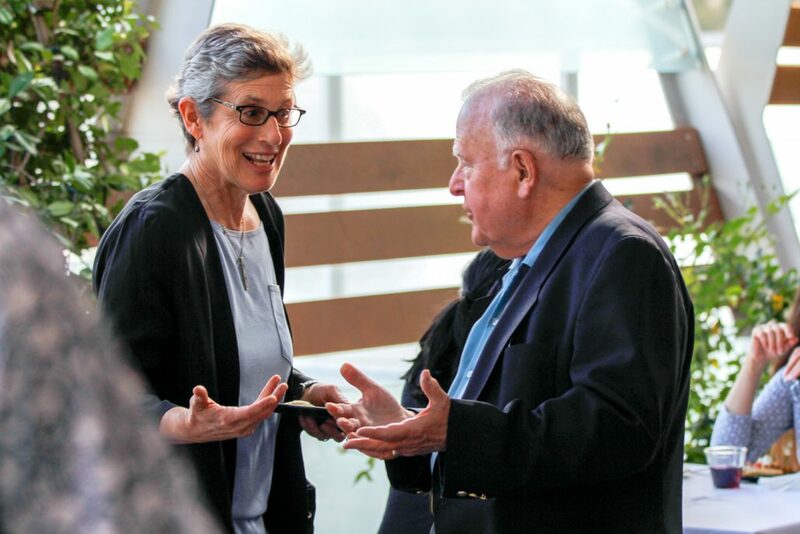 On April 11, 2017, more than 250 attendees gathered at UCLA’s Meyer and Renee Luskin Conference Center to celebrate the Institute for Research on Labor and Employment’s 70 years of work. 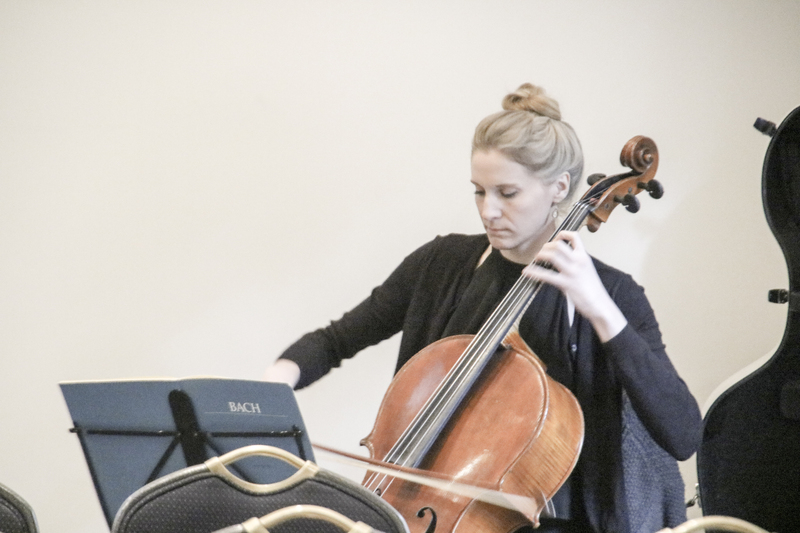 In an evening with music, food and camaraderie, community and campus leaders reflected on the Institute’s long and storied history. The theme of the evening was “UCLA’s Role in Workers’ Lives Today.” Institute director Abel Valenzuela, who is also a professor of urban planning at the UCLA Luskin School of Public Affairs, opened the evening by posing the question: In this divided political climate, what is UCLA’s responsibility to improve workers’ lives? Part of the answer lies in the work that the Institute has undertaken over the past seven decades, Valenzuela said. For seven decades, the Institute has conducted timely and impactful research on labor markets and how work impacts workers and their families. Through the work of its units – UCLA Labor Center, Human Resources Roundtable and the Labor Occupational Safety and Health program – the Institute has created programing to improve workers lives, researching key issues such as worker health and safety, the minimum wage, wage theft and immigrant worker issues. UCLA alumna Ana Luz Gonzalez MA UP `02 PhD `15 and political science student Fernando Antunez spoke about the Institute’s teaching program. 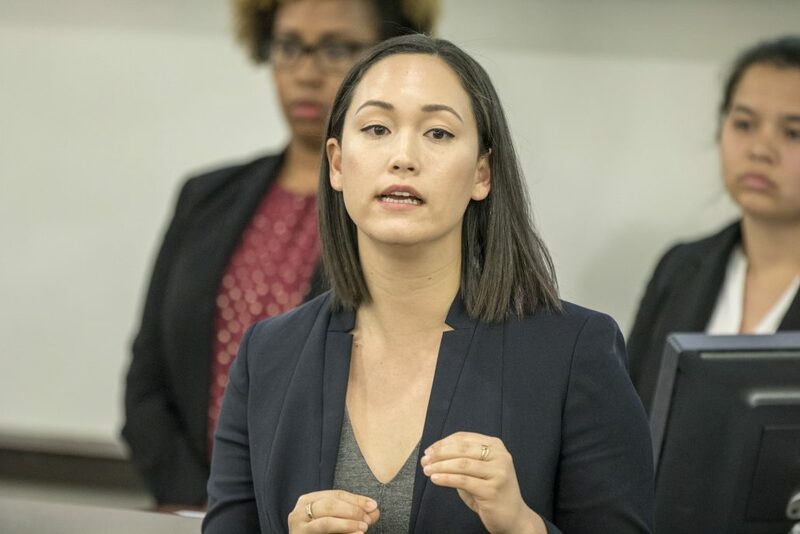 Gonzalez talked about her research on day laborers and wage theft, and how this research has been pivotal in advancing policy and educational programs aimed at ending wage theft among low-wage workers. Antunez talked about how work and mental health are connected, sharing the moving story of his own family as they coped with his mother’s deteriorating health. Durazo emphasized that working people need to protect their ability to defend their rights because many laws are not enforced. 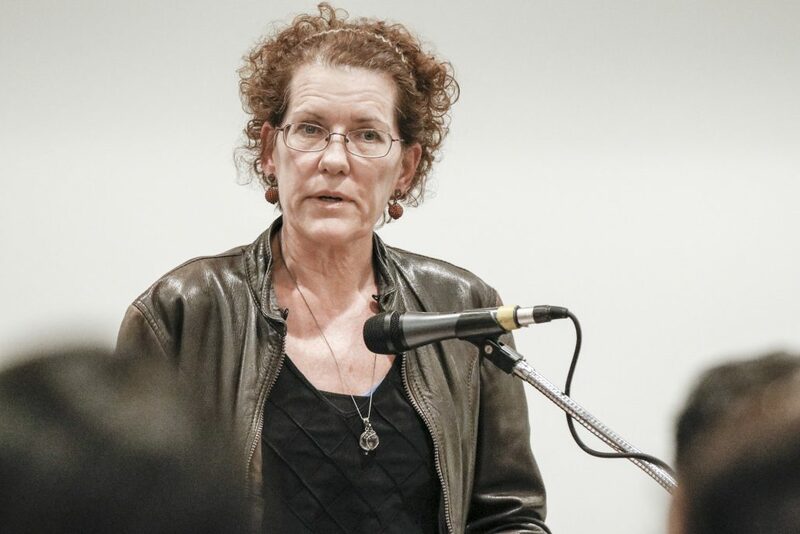 She spoke of the UCLA Labor Center’s work, partnering with worker organizations on issues such as wage theft, as well as the role of the Department of Labor’s Occupational Safety and Health Administration in preventing worker deaths on the job. Autonomous vehicles, once considered science fiction, are quickly becoming a reality. With the technology and testing of driverless cars and trucks progressing rapidly, private industry is investing. At the same time, planners and policy makers are confronting another challenge: How will technology, policy, governmental legislation and industry practices come together to make the potential benefits of autonomous transportation a reality that is responsible, equitable and good for the environment? 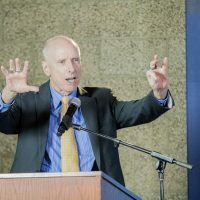 To address these issues, two UCLA Luskin School of Public Affairs research centers — the Institute of Transportation Studies (ITS) and the Lewis Center for Regional Policy Studies — used their April 13, 2007 transportation conference to focus on the implications of autonomous vehicles. 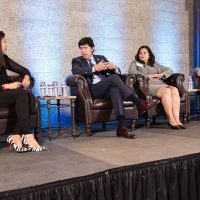 The 10th UCLA Downtown Los Angeles Forum on Transportation, Land Use and the Environment brought together speakers representing the technology industry, along with planning researchers, and practitioners in the government and private sectors. This year’s downtown forum, held at the California Endowment Los Angeles Conference Center was titled, “Steering Connected and Automated Mobility in the Right Direction.” Speakers and expert panels provided a look at the policy aspects of ridesharing and driverless transportation, from liability and equality viewpoints to greenhouse gas emissions and infrastructure. 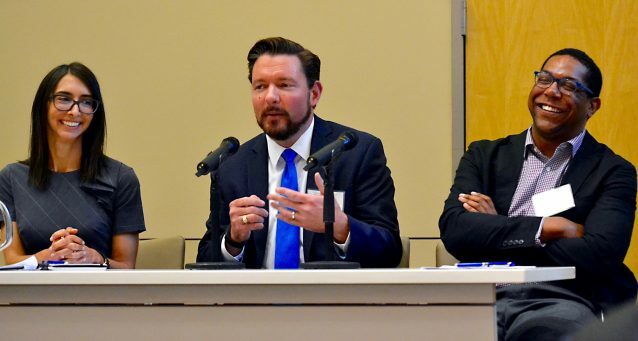 The panelists also discussed how the anticipated disruption of autonomous vehicles might play out locally, across California and around the nation. 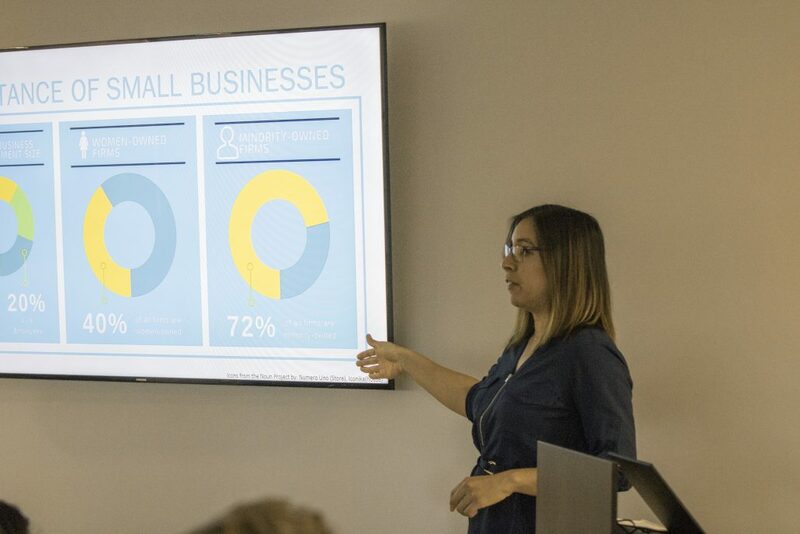 Lauren Isaac, director of business initiatives for EasyMile, a high-tech mobility startup, discussed how connected and automated technologies may shape the future. Isaac said that freight companies will most likely be the No. 1 sector among the early adopters. “That industry is really interested in this,” she said, citing a shortage of drivers and huge cost savings that could come from moving goods this way. 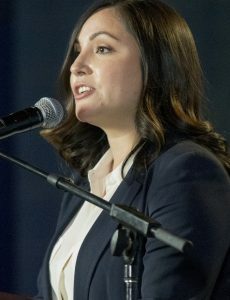 “On the passenger side, I think without question we’re seeing the best response come from the younger generation,” she said, noting that there is also significant interest from the senior and disabled communities. “That being said, the challenge is how do you transfer people in wheelchairs or if they need additional help? People still rely on humans to get into the vehicles. So there’s still a lot of issues to work out around the para-transit piece,” Isaac said. 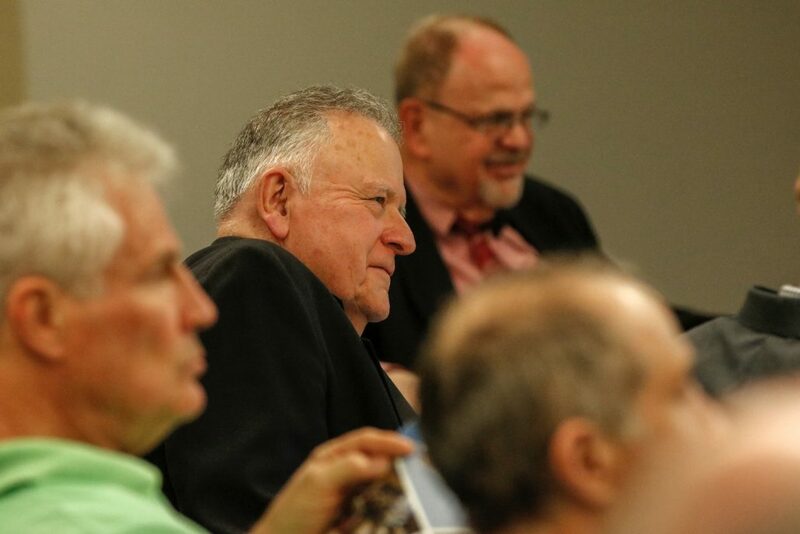 Ganson also said that it makes sense to be proactive while planning for the future. “While you’re repaving … or building a new transit system, adding the technology now saves 10 times the cost of putting it in later,” he said. 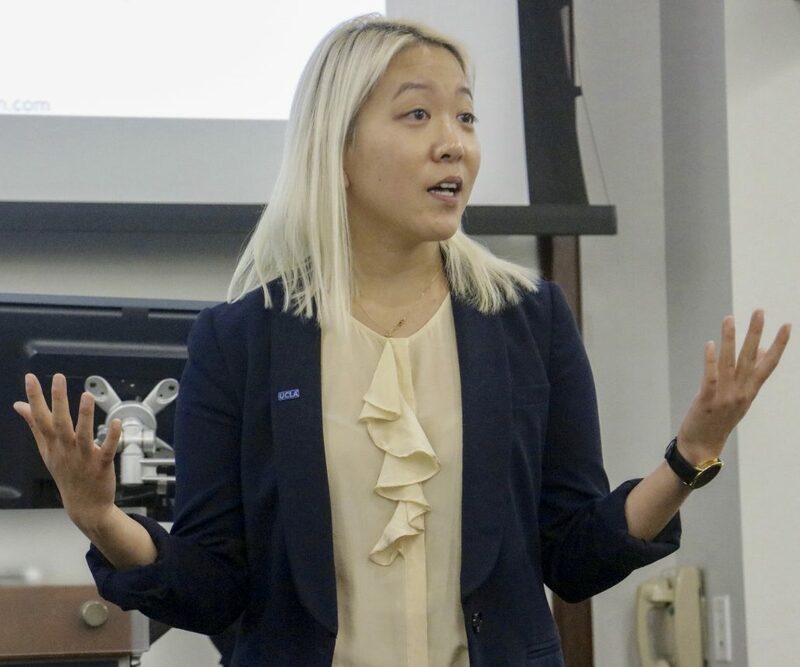 Maya Buenaventura, assistant policy analyst at the RAND Corp., provided a quick primer on common law, tort law and liability issues that would come with taking humans out of the driver’s seat, as well as product liability issues for manufacturers of autonomous cars and parts. There may be some uncertainty in the details initially, she explained, but many of the longstanding concepts of common law that apply to personal injury and property damage would also apply to autonomous vehicles. 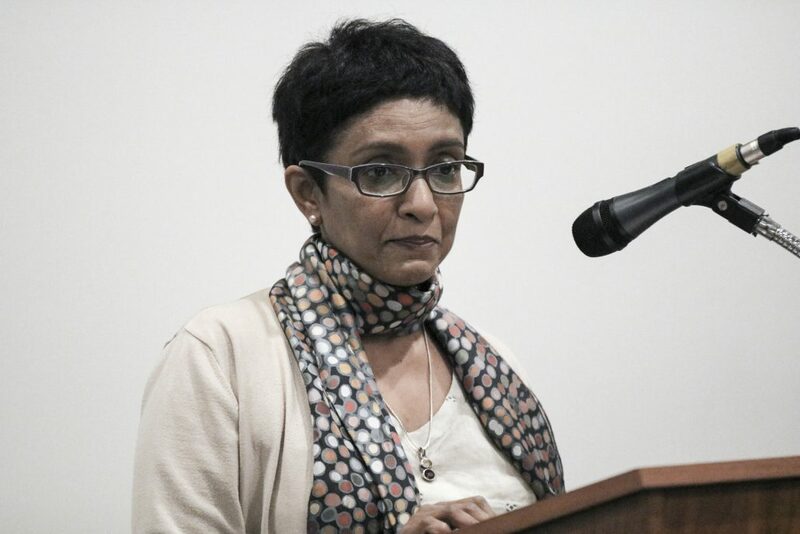 “The outcome might not be optimal from a social welfare perspective right away,” she said. “Judges need to start thinking in the long term — what are the long-term costs and benefits — if this is something they’re just going to pick up as autonomous vehicles get introduced. But it is not clear that there are any better options. 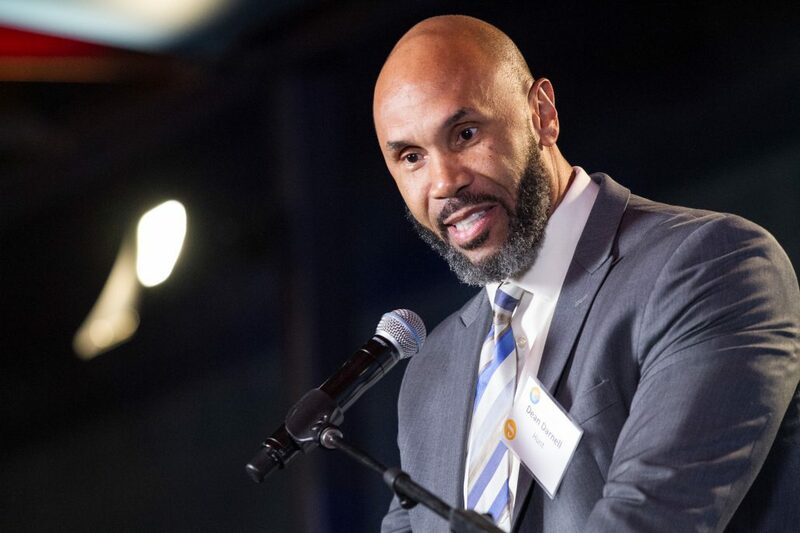 Shaw, a pre-Luskin 1998 UCLA graduate minored in what was then policy studies, said his city’s overarching commitment is to spatial and racial equity, which must be balanced with the goal of livability, new innovation and understanding urban efficiency. 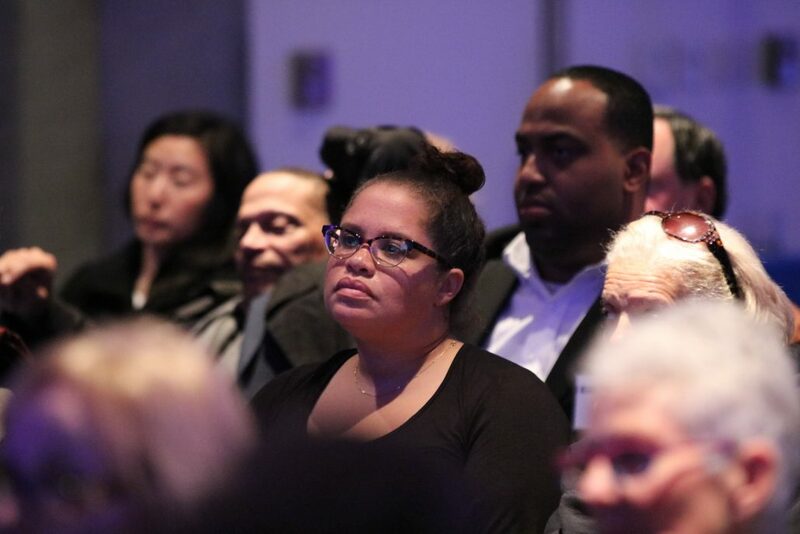 With equity and access in mind, Shaw pointed out that the nation’s capital has a huge income disparity. He asked whether creating a system around pricing automatically creates a system that excludes the city’s low-income residents. With this in mind, Shaw said that his department was looking at a number of scenarios for the city’s future. 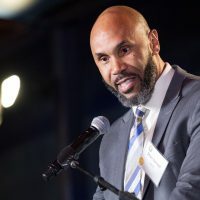 Brian D. Taylor, professor of urban planning and director of both the ITS and the Lewis Center, pointed out the importance of addressing the issues covered in the forum. 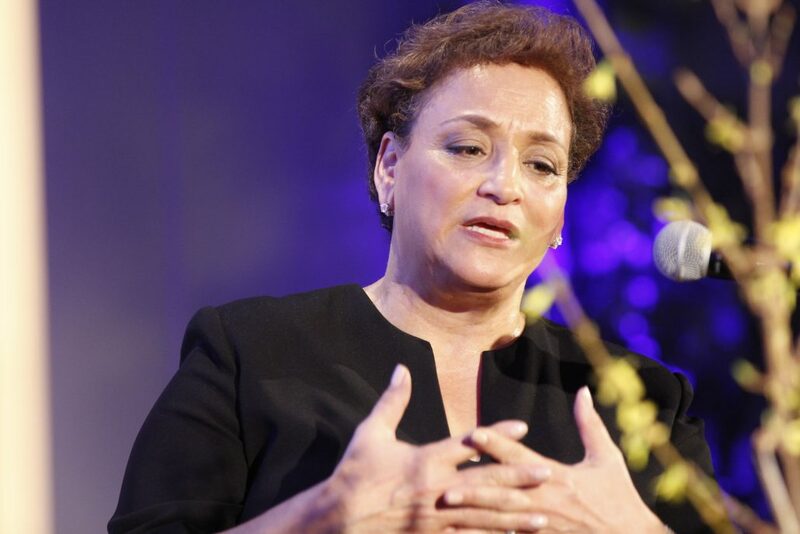 Jo Ann Jenkins, the CEO of AARP, delivered a Luskin Lecture on Feb. 7, 2017, at Skirball Center. The number of Americans age 85 and older now constitutes the fastest growing segment of the U.S. population. The second-fastest growing age group? Those age 100 and older. 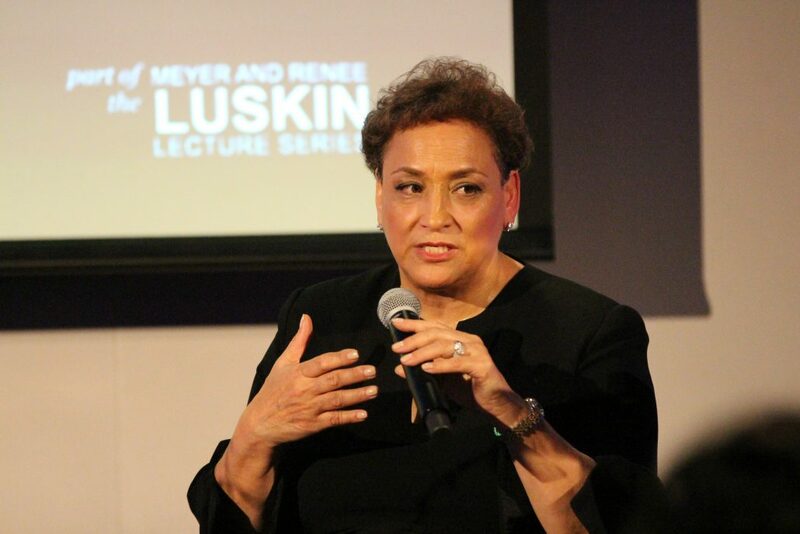 The impact on society of increased longevity thanks to advances in medicine and healthier lifestyles was a centerpiece of a presentation by Jo Ann Jenkins, CEO of AARP, as part of the Meyer and Renee Luskin Lecture Series held Feb. 7, 2017. 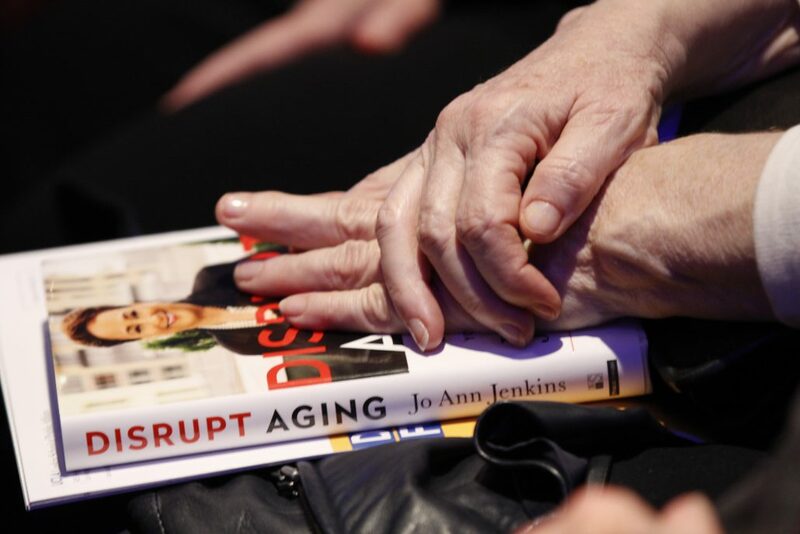 Jenkins, whose bestselling book “Disrupt Aging” also served as the title for her lecture, talked about the necessity to rethink how we view the aging process in the years ahead. She urged the audience to think about a youngster they know today, perhaps a child or grandchild around 10 years old. Current research thinking predicts that child will have about a 50/50 chance of living to be 100. She also noted that gerontology experts speculate that the first person who will live to be age 150 has already been born. “In this audience,” she joked, and the room erupted in laughter. Her point, of course, is that increased longevity for a significant portion of the population not only impacts healthcare and public policy and the infrastructure of communities, but also the way people deal with the aging process and its impacts on their loved ones and themselves. Because those are the types of people who work and study at the UCLA Luskin School of Public Affairs, hosting a visit by Jenkins was a natural fit. 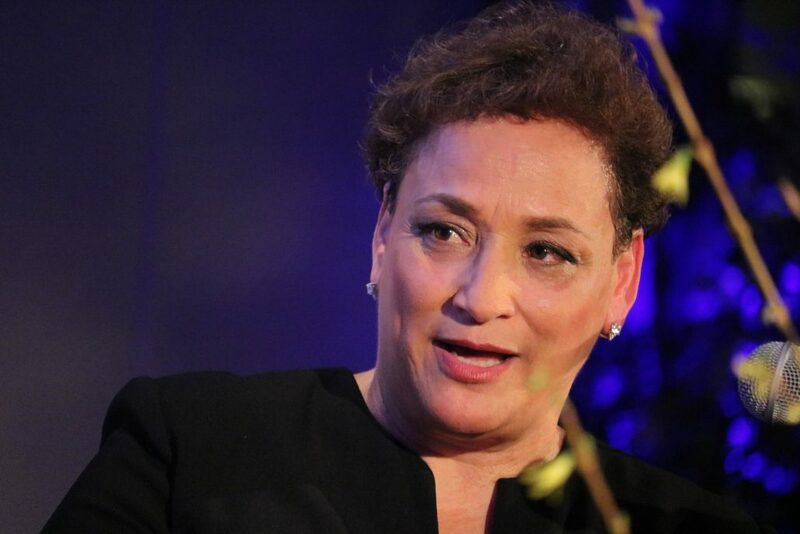 She is the CEO of an influential national organization that has about 38 million members over age 50. 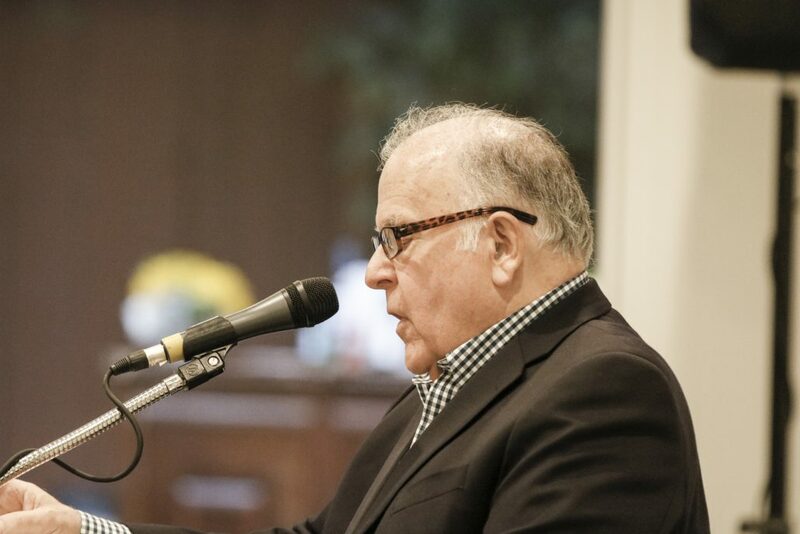 The Luskin Lecture by Jenkins was also an example of a growing relationship between the university and AARP that was fostered by Fernando Torres-Gil, professor of social welfare and public policy, over the past few years while he served on the organization’s board of directors. 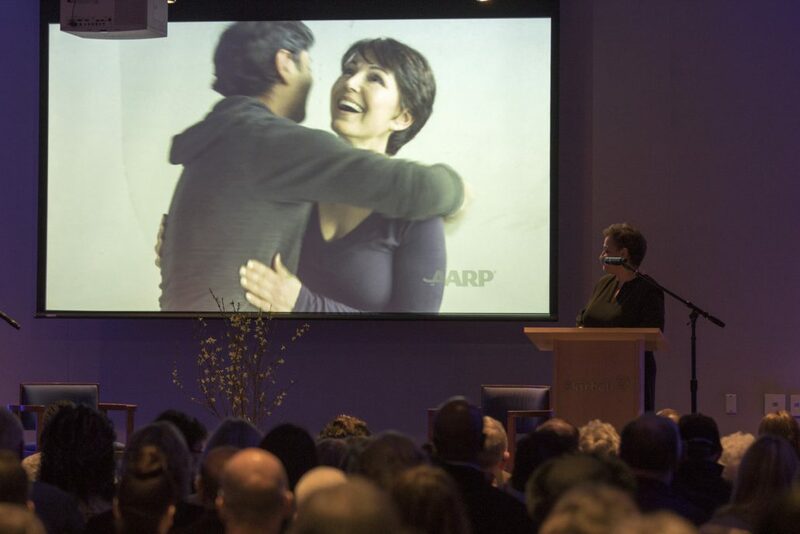 California and Los Angeles, in particular, present a perfect opportunity for organizations such as AARP to achieve a better understanding of the needs of older Americans from diverse ethnic and cultural backgrounds. 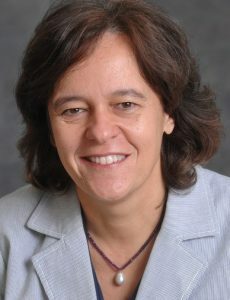 One aspect of that effort is a $300,000 grant from AARP to help fund the research of faculty members such as Loukaitou-Sideris, whose studies of the public environment in and around cities have previously noted shortcomings related to the needs of older residents, particularly those in minority populations. 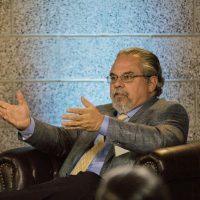 In a question and answer session that followed the lecture and was moderated by Torres-Gil, he asked for Jenkins’ perspective on diversity given the fact that so many of those entering old age are from ethnic minority populations. Still, she noted, American society is obsessed with age. When people are asked what they are most likely to lie about, age is the top answer. “But what if we could eliminate our preoccupation with a number? For example, what if we decided that middle age started at 65? 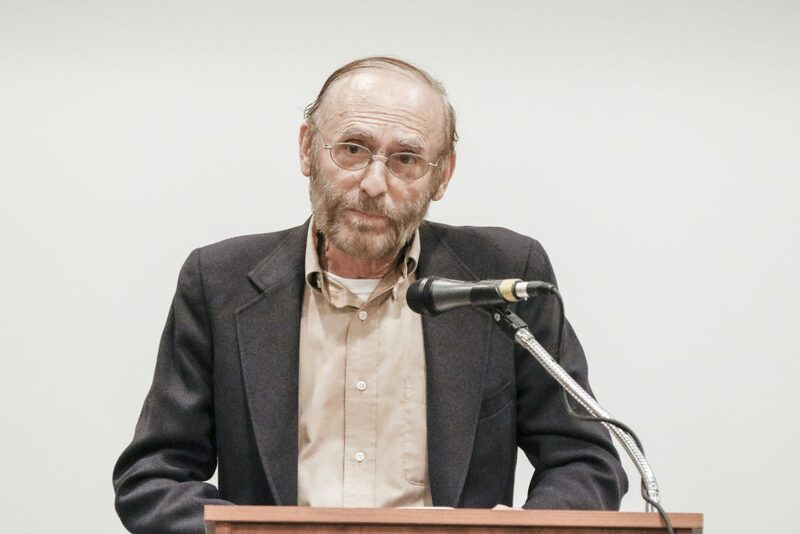 What would that do to your own preconceptions?” Jenkins asked. In her view, the capacity to deal successfully with that reality is an issue that impacts individuals, governments and businesses in equal measure. “We blame ourselves. Instead of changing our environment to fit our needs, we bemoan getting older,” she said. Efforts by AARP and by researchers such as Loukaitou-Sideris seek ways to make communities more livable for an aging population. 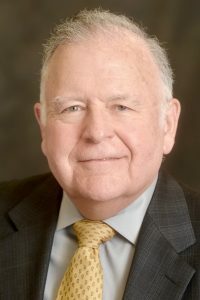 Jenkins cited a research example that focuses on the fact that many older people have trouble getting in and out of a car. The idea of refocusing our thinking to better accommodate an aging population also applies to communities and housing. Today, more people are living into their 80s and 90s and want to stay in their homes as long as possible.